For some reason, presidential biographies by Pulitzer Prize-winners tend to be rather lengthy. Consider David McCullough’s on John Adams (752 pages) and Harry Truman (1120 pages), Doris Kearns Goodwin’s on Abe Lincoln (1,341 pages) and FDR (760 pages), and Robert Caro’s continuing series on LBJ (3,180 pages and counting). 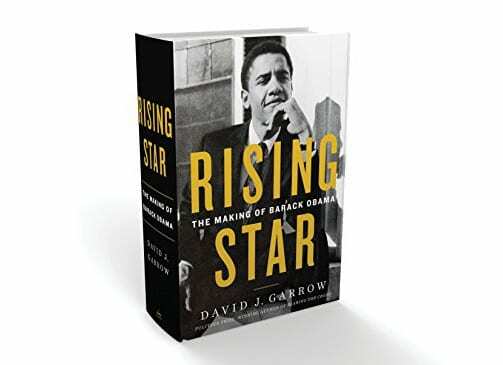 Now, another Pulitzer Prize-winner, David J. Garrow, has published an epic opus of 1,472 pages on the life of Barack Obama, focusing on the years prior to the presidency. And it’s a safe bet that Garrow just might eventually write a sequel about about POTUS 44’s time in the White House, too. Garrow also documents “Barry’s” use of marijuana in high school and of cocaine in college, when he started preferring “Barack.” And the author reveals the identity of the woman Obama lived with for a couple of years during his stint in Chicago as a grassroots organizer. We also learn that Obama not only worked with a lot of Bible-thumping sisters during his initial stint in the Windy City, but that he was already planning to become president of the United States way back then. And there’s the blow-by-blow of his strained relationship with Genevieve Cook, the rudderless white woman he dated during his tenure in New York City. Previous articleGordon’s to Celebrate the 8th Avenue S. Community in Re-Grand Opening.